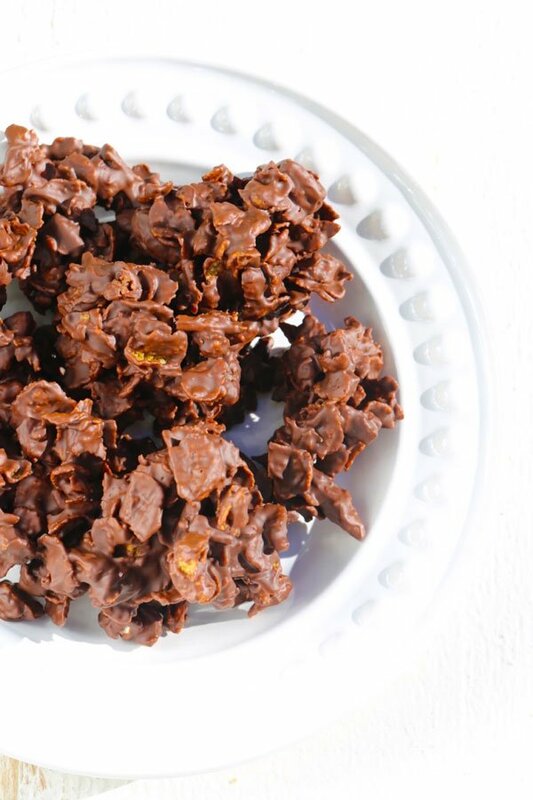 No bake chocolate cornflake cookies are perfect for your Christmas cookie platter. 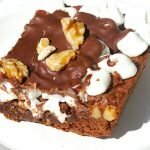 This recipe includes chopped pecans, dates, peppermint extract and sweet milk chocolate. 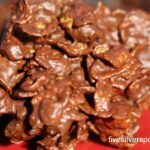 This recipe for chocolate cornflake cookies has been in my family’s recipe vault for three generations. We refer to them as “chocolate delights” and we make them only at Christmas time. Why only at Christmas time? Not sure. It just falls in the usual roundup of cookies that I’ve been used to seeing at Christmas for as long as I can remember. 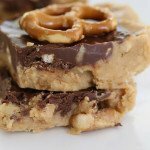 The delicious milk chocolate mixed with corn flakes, pecans and dates is just perfect. 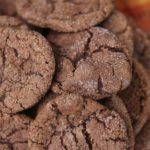 These chocolate cornflake cookies served alongside Orange Zest Snowball Cookies is a fabulous flavor combination. 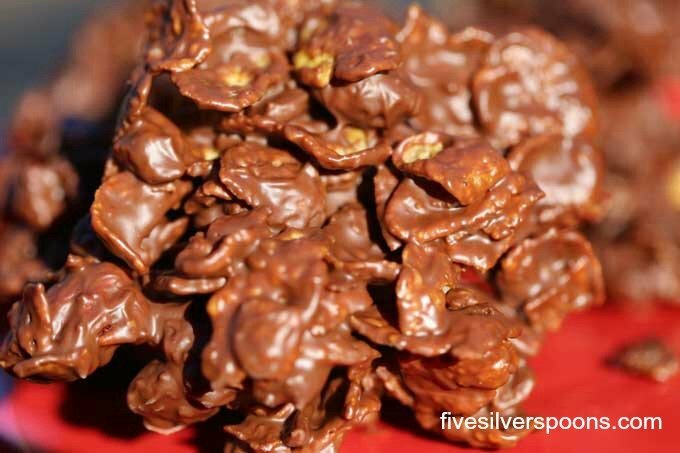 They can also be referred to as Kellogg’s chocolate cornflakes (we always use Kellogg’s cornflakes). 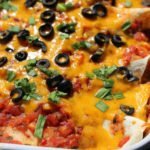 This is a very quick and easy recipe, and loved by all. From start to finish, you can have these ready in 30 minutes. No oven is required, only a refrigerator, so you can cook other Christmas cookies, while these cornflake cookies are coming together in the fridge. 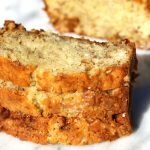 They provide a yummy way to incorporate dates into your diet. Find your largest mixing bowl. 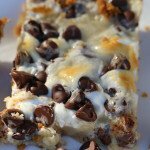 You will want to toss the ingredients around freely as you work the melted chocolate into the dry ingredients. Its fun! Use a double boiler for the melting of the chocolates and peppermint extract. 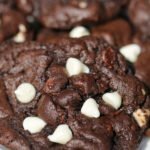 I purchased one this year, and its made my cookie making so much easier. I used to hold a pot over boiling water – my wrist was not happy. 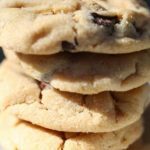 After tossing the ingredients together, immediately scoop out cookies, place on parchment paper lined cookie sheet or plate, and place in the fridge. If you wait to long, the ingredients will gel together in the bowl, and you will have a big mess. 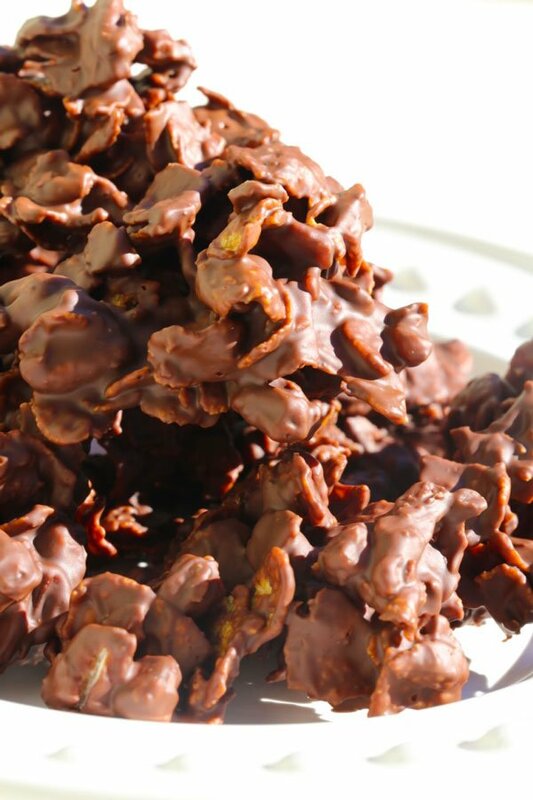 If you’re looking for a chocolate cornflake cookies no bake recipe, you will love this one. I look forward to them every year. Melt chocolate over warm water. Add peppermint extract. Combine nuts, dates, salt and cornflakes. Pour chocolate over the mixture and stir until well mixed. Drop rounded teaspoonfuls on parchment paper and chill until firm for an hour.